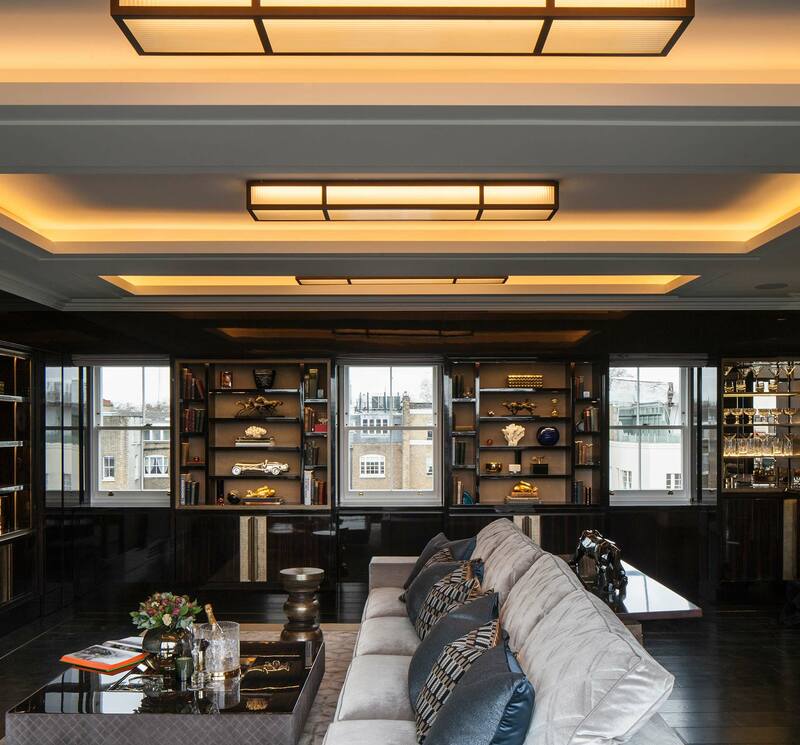 Geometric shapes add a classic touch to this Belgravia residence. 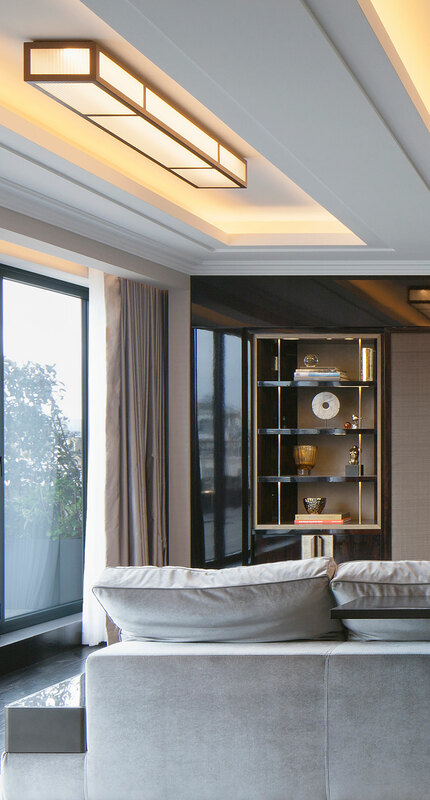 For the entertainment space of this luxury three-floor apartment the interior designer required a trio of Art Deco-inspired ceiling luminaires. We were appointed to design and manufacture the classic light fittings that would add a stylish yet elegant touch to the high-end space. The refined light fittings, each measuring 1.6m x 0.25m, have been handcrafted with reeded glass – a material synonymous of the Art Deco era. They contain a diffuse source of light, which through the purposely sandblasted reeded glass provides an homogeneous warm glow. A final touch involves the metalwork frame that was finished in a satin bronze hue. The trio of elegant bespoke luminaires bring a sense of perspective to the entertainment space, and demonstrate that simplicity can most definitely be striking.